As if to subtly remind us of an era when everything it touched turned to gold, Square Enix has announced the imminent Virtual Console release of beloved time-travel epic Chrono Trigger. In case you somehow missed Chrono Trigger over the last 16 years, imagine a Final Fantasy game with the aesthetics of Dragon Quest and a time travel storyline that reads like H.G. Wells if he were reincarnated as the lovechild of James Cameron and Hayao Miyazaki. Add a wicked clever job system, and a soundtrack that rivals even the best Castlevania tunes, and you understand why some people might be excited by this news. 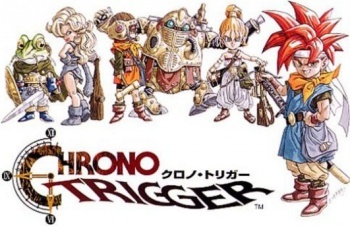 The May 16 release would mark the third time Chrono Trigger has been reissued following its Super Nintendo debut in 1995. To date the classic roleplaying game has also appeared on Sony's original PlayStation and the Nintendo DS. Both of those versions received a handful of upgrades, including anime cutscenes, new control schemes and even new dungeons to explore. Sadly, this latest incarnation of Chrono Trigger appears to be a simple port of the original SNES release. Given that the Virtual Console is largely a showcase for classic games from Nintendo consoles this isn't all that surprising, but knowing that the download is not the best version of Chrono Trigger available may make it a bit more difficult sell to those gamers who aren't slavering fans already. Then again, fans don't get much more slavering than those devoted to Square's 90s-era RPGs. This thing will probably make a mint.